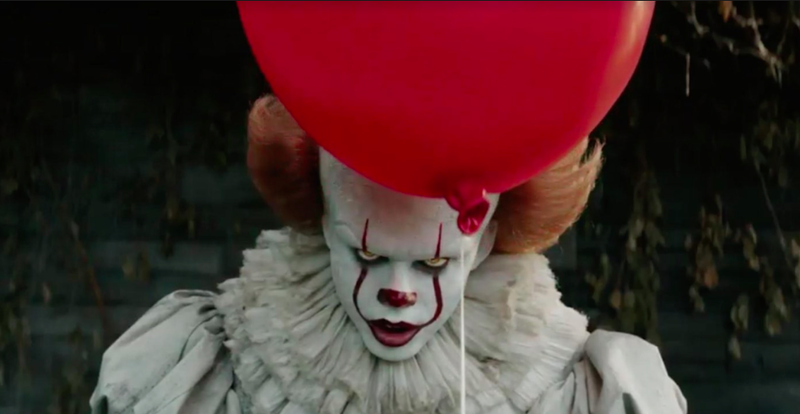 At the end of summer, full of underwhelming and underperforming rehashes of decades old properties, Andy Muschietti‘s “It”’s biggest shock lies not in the film’s scares so much as it’s quality. “It” is one of the very rare remakes that not only improves upon the original source material, but also brings new twists and new ideas to a story that has been scaring people for decades. “It” is an adaptation of the 1986 Stephen King novel of the same name as well as a remake of the 1990 T. mini-series that originally aired on ABC. The film tells the story of the “Losers Club,” a group of misfit kids who spend the summer of 1989 (1958 in the original) doing battle with the cosmic evil entity residing in the sewers of their hometown Derry, Maine. The monster, which the kids discover has lived under the city for centuries, is a shape shifter that nourishes itself on the flesh and fear of the unsuspecting children of Derry. Awakening every 27 years the creature, whose favorite form is a calamitous clown named Pennywise, begins Its latest cycle of evil by brutally killing and eating poor Georgie Denbrough, the little brother of Bill (Jaeden Lieberher), the de facto leader of the Losers club. Spurned to action by tragic disappearances of not only Georgie but countless other children, the Losers begin to investigate the evil that’s haunting their town and eventually take the fight to the monster itself. “It”’s greatest strength by far lies in the films casting. Every member of the Losers Club is brought to life with earnest charisma that immediately endears them to the audience. In small moments like Beverly (Sophia Lillis)’s good-natured ribbing of Ben (Jeremy Taylor)’s love for the New Kids on the Block or Riches (Finn Wolfhard) sarcastic offer to help Eddie (Jake Grazer) kiss his mother goodbye the friendship between these characters is developed organically and believably. Whether their mocking or reassuring each other the kids all share a chemistry that gets the audience deeply invested in their struggles. Unfortunately not every “Loser” gets the chance to shine on their own; with the narrative split seven different ways not much time is given to develop each individual character, Mike Halorn (Chosen Jacobs) in particular disappearing for a large chunk of the movies run time and generally having little to do in the story. Likewise, Eddie’s character arc feels a little rushed, the hypochondriac momma’s boy finding his courage a little too easily to be completely convincing. The actors all do a fantastic job with what time they have and whenever the kids are in danger, the audience is on the edge of their seats. “It” remembers one of the most important rules of horror movies and takes great pains to make the audience care about the people being terrorized. We get a real sense of why these kids call themselves the “Losers Club.” Each character facing ridicule and emotional trauma even before bumping into the monster brings their worst fears to life. Every scene of the kids’ lives at home and school builds on the idea that these poor pariahs really only have each other to rely on; in fact, part of the movies oh so creepy atmosphere is the disdain and apathy the adult characters have towards the situation. Missing children posters are plastered all over the town, some of them covered up by new different mug shots as more and more of Derry’s children disappear. Pedestrians ignore scenes of viscous bullying. The parents are either emotionally distant or downright abusive, convincing the children that their only hope of ending the horror is to deal with “It” themselves. And what a horror their left to deal with. Bill Skarsgård gives his young costars a run for their money delivering a petrifying performance that will leave you wondering if Pennywise and Heath Ledger attended the same clown school. Skarsgård steals every scene he’s in with his delightfully unsettling vocal inflections and contortionist otherworldly movements. By far the most memorable feature of the original It TV. series was Tim Curry’s turn as Pennywise the dancing clown, and it’s a real treat to see the character brought to life again in an equally horrifying but distinctly unique fashion. These fantastic performances by both the heroes and the monster of the story are greatly beneficial to a film that sometimes stumbles in its attempts to be scary. “It” is full of jump scares that, while featuring interesting and genuinely creepy character design, are badly telegraphed by a soundtrack that blares “scary” sounds before every attack. Likewise, the fast-paced editing of some moments is sure to leave the audience more disoriented than terrified. It” is often startling instead of horrifying, many of the scares undercut by obviousness. Logical inconsistences of when and where the characters are in danger also prevent the movie from being as scary as it could be.